This time, the 4★ [Phantom Thief] with Wind Attribute will be awaiting you at the Hall of Heroes! Clear the dungeon to summon [Phantom Thief]! 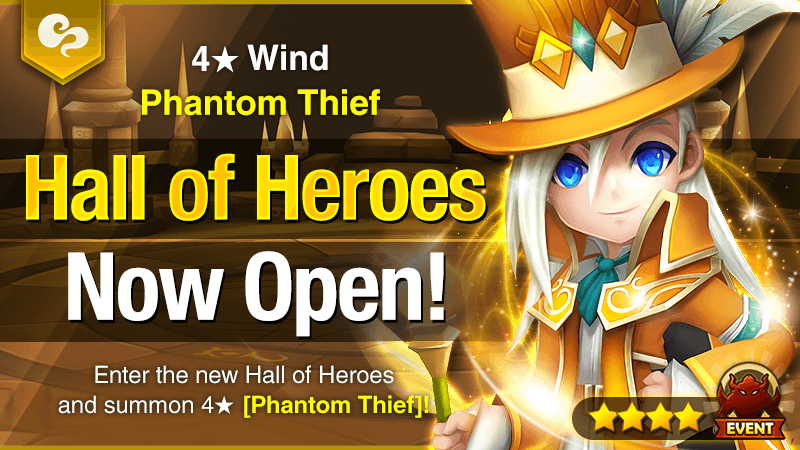 - Clear the Hall of Heroes and gather Summoning Pieces to summon 4★ [Phantom Thief] (Wind). Newcomers and lower-level Summoners, beware!